Qudini work with one of the UK’s largest grocery retailers to improve their head office tech support experience and resulting employee productivity. Creating a digital workplace environment by providing their employees with robust and well-supported technology devices, is essential to our client in ensuring employee productivity and a good experience of working at their retail head office. In July 2016, our client opened a new “Tech Bar”. This innovative solution enables head office employees to access their IT team, and to take their devices to them for repairs, advice and service. To support the Tech Bar initiative and ensure a seamless and productive experience for both the head office IT team and head office colleagues, our gorcery retailer client deployed Qudini’s Appointment Booking Software, Event Management Software and Queue Management System. Appointment bookings: The IT team are able to manage their availability and create pre-booked appointments for colleagues within the Qudini calendar interface. In addition, head office employees now have access to an online appointment booking interface within their intranet. This enables them to see the IT team’s availability and create appointments. The colleague will receive a confirmation and reminder SMS and email message. This includes a Google calendar link..
Queue management: Due to a high-number of colleagues walking up to the head office Tech Bar and requesting immediate support and services, our deployed Qudini’s queue management software. It allows colleagues to join a digital queue for service. The colleague will then receive SMS updates as their turn draws near and can watch their queue position from a smartphone weblink and a digital TV screen by the Tech Bar. Event Management: To help employees to learn how best to use their devices and software, the Tech Bar hosts workshops and training sessions. In order to maximise booking and attendance, it uses the Qudini Event Management Software in order to create event sessions. Colleagues can browse upcoming events and book sessions. With the waiting experience so seamless and informative, colleagues add their details to the queue and wait for service. This ensures that they get their devices fixed faster in the times that suit them. The Tech Bar provides a premium support service that employees are keen to take advantage of. Qudini helps them to process high volumes of employees whilst remaining efficient. Since using Qudini, the Tech Bar has seen wait times drop significantly, ensuring that most colleagues are served in less than 10 minutes. This helps to improve work-place productivity. The appointment booking software ensures that colleagues can now access services at the time that suits their work schedule. Qudini now provides our retail client’s head office with data on its device issues and support needs, alongside employee interactions with its Tech Bar. 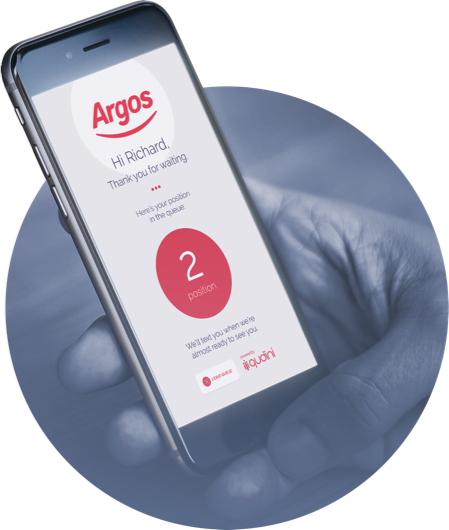 This has enabled the retailer to improve performance, optimise IT team resource allocation and has informed its device selection strategy. The Qudini event booking tool has enabled our client’s head office IT team to support more colleagues. They are able to take bookings for small groups at short notice and employees are able to more easily see and book onto upcoming sessions.